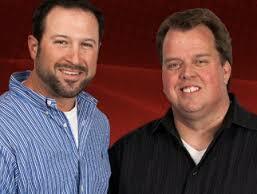 SanDiegoRadio has learned the long time team of 'Dave and Jeff', Dave Palet and Jeff Dotseth will not be on the air come Monday. Not much more than that is known at this time. SanDiegoRadio has reached out to the guys. Palet tells me: "Jeff and I really enjoyed our time working with great people. The station revolves around Chargers football and we were looking forward to an exciting season. Tough to leave a building with so many life long friends"